Wells Fargo has changed for the better! Applied for this card, After already getting a personal loan from Wells Fargo a Month ago. This bank used to be very strict only relationship based now they are more lienent. My CK score was 640, and My Experian was 680 that's what they pulled. $3000 CC Approved 0% Balance Transfers. Wells Fargo is amazing coming from a year ago with all of the scandals, They have changed and are working to assist customers and have changed their products for the better. Wells Fargo is Amazing! I have a checking, savings and loans with them now and the customer service has been very helpful, and they are able to assist in all your needs. I recommend this card to anyone wanting a balance transfer. Once in the door with Wells Fargo they are kind to you. It’s 2 ways to gain experience..find out for yourself or read through 9 pages of bad reviews..you choose. Almost impossible to pay off this card. For every 150 I pay on this card maybe 15 goes to the actual balance. God help you if your late they pile on the fees. How have I been paying this card for years 150 a payment and the balance hasn’t moved at all. I haven’t even used the card in 3 years and the balance is exactly the same. Do NOT get this card. My only hope is to pay down my other cards and when I’m done with them just put everything I have into paying off this monstrosity. Try paying your bills on time instead of thinking you can pay whenever it suits you. I have a feeling they like you even less than you like them. It’s because you are just paying interest. It will take you 20 years to pay it off. You have to pay double than the minimum to get it paid in a couple of years. They do tell you this from the beginning. If you have several cards with high balances you should probably not have any CCs. Credit conscious individuals know how to live within their means. That means not carrying a balance on any card from month to month. Some people make the CC companies money and some people make money off the CC companies. Which group of people do you want to be in? So you whine and give the card a one star for being late? If your balance is so high it will take years to pay off, you should not have credit cards. Pay as you go, balances in full every month. CC are no the best tools so you can have the latest new I Phone or other toys. 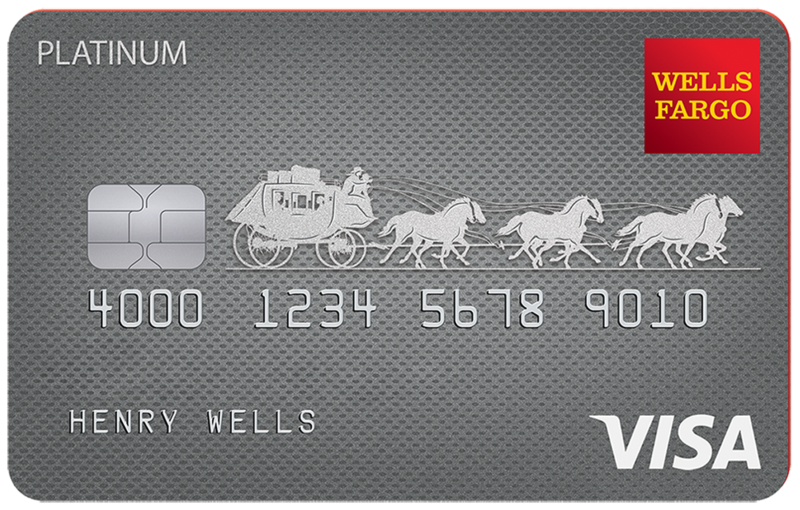 Wells Fargo Platinum Visa Card is just okay. I got this card as a secured credit card to rebuild my credit. After about six months of on time payemnts the card was converted to unsecure and my deposit was refunded to me. It did help build my credit but it does not offer many perks. I will most likely close the account after I clear the balance. APR is also very high so I do not spend much on the card becuase it will take forever to pay back!! I’ve had this card for a few years now. I have never missed a payment. Overtime I have had bad customer service. They don’t seem to care about the card holders much. If they do they should change the hiring requirements for this customer service department.